When my eldest child turned 10-years-old earlier this year we began a weekly ritual of Torah study on Shabbat afternoons. These 30-minute learning sessions have quickly become my highlight of the week as they are an opportunity for me to teach my son Torah and also gain from the new insights that he shares from his own perspective. This past Shabbat we delved into Parashat Metzora, the Torah portion that continues the ancient ritual of dealing with one who was afflicted with the skin disease known as tzara'at in the Israelite camp during our ancestors' sojourn in the desert. As we took turns reading the Hebrew verses and their English translations, I began thinking about my late grandfather, Dr. David Gudes. A well-respected dermatologist in Detroit, Michigan, my Papa was an expert on various skin ailments and I often think about him each year during the time we read the Torah portions of Tazria and Metzora. 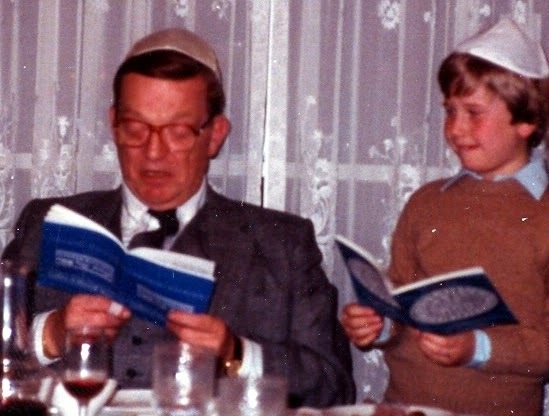 Our little Torah study session provided me with a wonderful opportunity to reflect on my Papa's life for my son who never had the chance to meet him. He died almost twenty years ago on October 6, 1994 (Rosh Chodesh Cheshvan). Today, April 7, would have been his 94th birthday. What do we think about when we study Torah? Yes, our thoughts very often transcend to a time long ago when our biblical ancestors lived. But oftentimes the text of the Torah takes us to other places. Reading of a biblical character may cause us to think of an individual who possessed similar character traits. The interaction between two characters in the Torah may set our minds adrift as we think about a similar interaction in our own time. And a theme of the Torah, like the leprosy-like skin ailment of tzara'at, may force us to reflect on a loved one who is no longer with us in the Land of the Living. It is a tradition to begin the Torah education of children with the third book of the Torah, Leviticus. Many have theorized that we initiate children with Torah study using this book rather than with Genesis, the first of the Five Books of Moses, because Leviticus is so complex with its minutiae of priestly laws. Whatever the rationale, I'm grateful to have studied from Leviticus this past Shabbat with my son because it allowed my Papa to join our weekly Shabbat Torah study. You never know what you're going to think about when you study Torah. 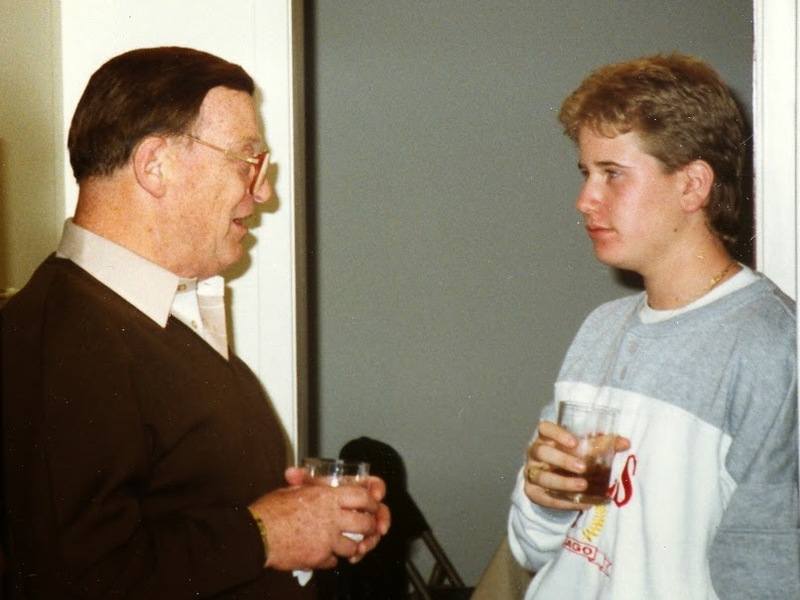 For me, the details of a biblical skin disease brought my beloved grandfather back to life for the generation he never met. It mirrors my joy in classes - as everyone shares their insights - Torah comes alive . . .